We are offering an excellent quality of Third Party Manufacturing of Ayurvedic Products to our clients. What Makes Us RemarkableWe have expertise in catering to Pharmaceutical Contract Manufacturing/Third Party Manufacturing/Private Label Manufacturing which is one of the most esteemed service we offer. 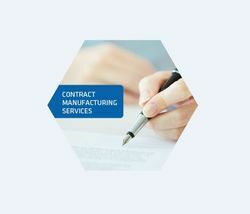 Our experience in Pharmaceutical Contract Manufacturing has won us appreciation across the country and abroad and has helped us maintain a clientele. If you are really interested to be associated with us, then you can contact us Now!